Imagine being able to perform endless mentalism effects using ONE, single method. Imagine that Method being the simplest thing to do. Can you lift your own hand? Imagine being able to know what a person is thinking of by JUST lifting your own hand! Nefesch has kept this mentalism technique, involving one single movement, close to his heart for years. Now, he’s sharing it with the magic community. 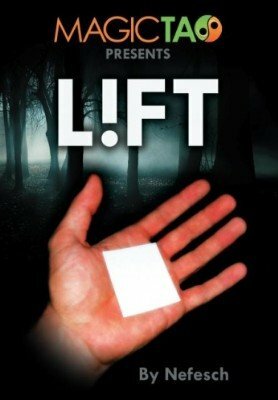 Use Lift to achieve any mind reading act you want. This is a very cool idea. My only complanint is the deseptive video used in the ad. It shows the hand go down and never leave again and that's just not the truth. Shame on you. The effect is good enough to recomend. You don't have to bs the puplic by fake editing.